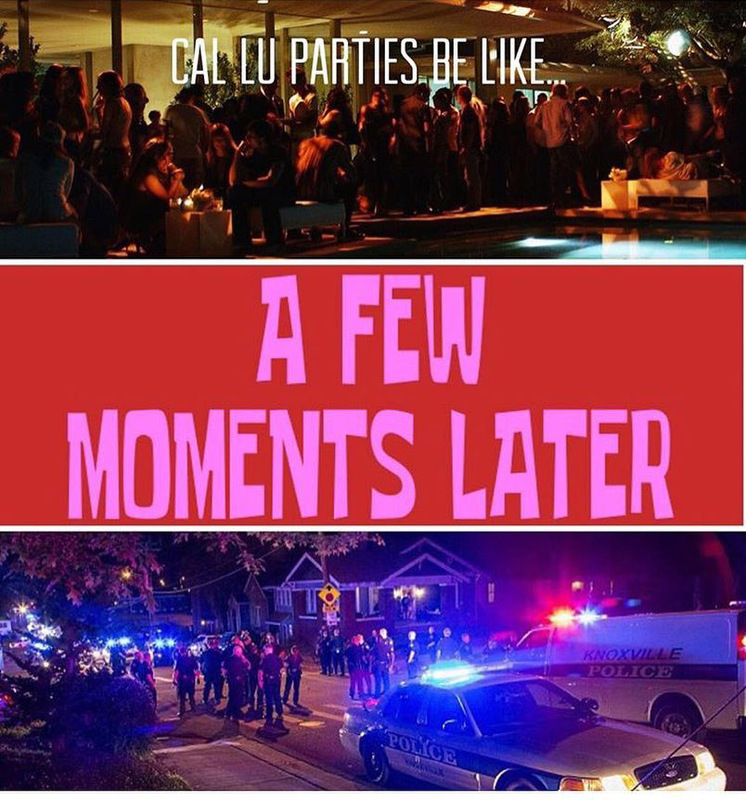 Meme game strong: One of CalLuMeme’s posts poked fun at the university’s party scene. In the age of technology, students use social media to publicize events, chat with one another and share their experiences. California Lutheran University students use it to share pictures of animals and memes. Ducks, squirrels, bunnies and memes have taken over campus conversation. These Instagram accounts popped up in the 2019 school year, and word of them is spreading across the campus as they grow in popularity. “So many people have been talking about it lately… [students] don’t want to miss out and I think it’s something all CLU students can kind of relate to,” junior Thea Holtlund Jacobsen, a fan of the “CalLuMemes” Instagram page said. The meme account first posted on March 2, 2019, and as of March 18 already had accumulated 965 followers. On March 18, “Cal Lutheran Ducks” had 427 followers, “Squirrels of CLU” had 380 and “Cal Lu Buns” had 158. Not only are students having fun seeing the content, but the owners are having a good time running the accounts as well. First-year Kate Vega is the student behind the squirrels page. She began this account after she was heading home one day and saw a squirrel hop on a windowsill and appear to try to break into one of the dorms. Squirrels of CLU is solely dedicated to posting photos of squirrels. A recent post outside of Ullman Commons showed a squirrel perched in a tree, holding onto an entire piece of pizza. The student who runs Cal Lutheran Ducks chose to remain anonymous because, as she said, “the focus should ultimately be more on the ducks than the person behind it.” She will be referred to as Alexa in this article. 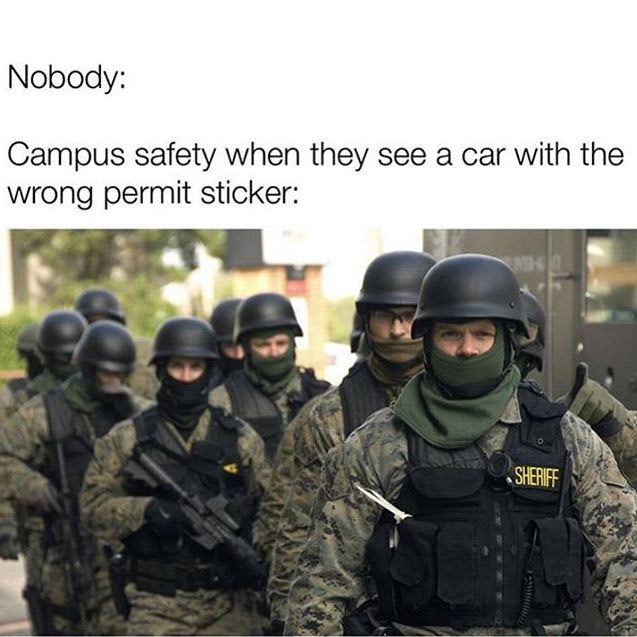 Cal Lu humor: Another one of CalLuMeme’s post took on Campus Safety’s strict policies. Alexa said ducks are one of her favorite animals because they are comical, and she wanted to shared this with fellow students. She also plans on creating a fundraiser through the account. Alexa believes the account will be popular for a while based on the positive feedback she has gotten. She believes part of this positivity is because the account allows submissions from other students on campus. 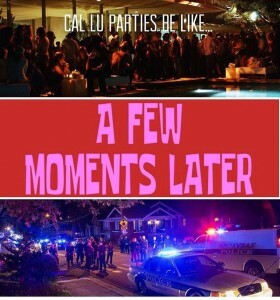 The CalLuMemes page has a different approach compared to Alexa and Vega. This page places classic meme pictures alongside text related to campus. These pictures comment on all things Cal Lutheran, poking fun at Ullman dining, sports teams and courses offered on campus. The owners of the meme account have chosen to remain anonymous as well. They thought it would be “more mysterious and interesting” if there was no face associated with the account. “If people find any memes offensive we want them to tell us so we can take it down because we’re not trying to offend anyone,” an account manager of CalLuMemes said. The reasoning behind these accounts, according to the managers, is to bring the Cal Lutheran community together.